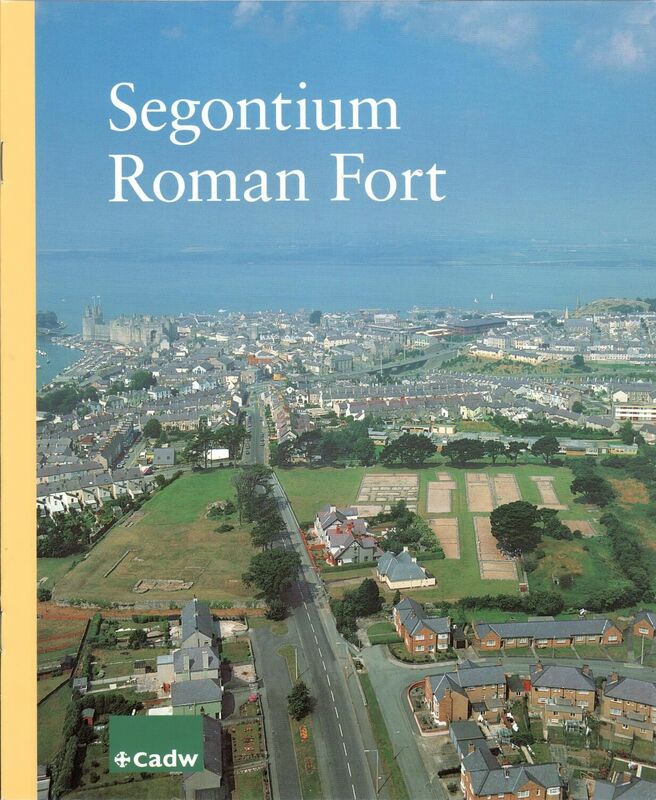 The Roman fort of Segontium lies on the edge of Caernarfon in north Wales. The fort is the property of the National Trust but was placed in state guardianship in 1958. The original National Trust guidebook was by C.A. Ralegh Radford who prepared so many of the guides for sites in the care of the Office of Works. The fort was excavated by (Sir) Mortimer Wheeler in 1920-23. The original ‘blue guide’ was written by G.C. Boon, Assistant Keeper of Archaeology at the National Museum of Wales (1962; 2nd ed. 1963). My MPBW ‘Official Guidebook’ is the fourth impression of the second edition (1969) costing 2 s 6d [12.5 p]; the DOE ‘Official Guidebook is the fifth impression (1972) costing 15 p. The guidebooks have a section on ‘The visible remains’ and ‘The historical background’, with a summary in Welsh. There is a foldout plan inside the back cover. I also note the presence of a quote by Professor Robert Carr Bosanquet, a former Director of the British School at Athens (and later at Liverpool University), to introduce the guide: ‘These ruins are the title-deeds of the ancient borough of Caernarvon’. There are a number of plans and photographs, including a reconstruction of the fort by Alan Sorrell. 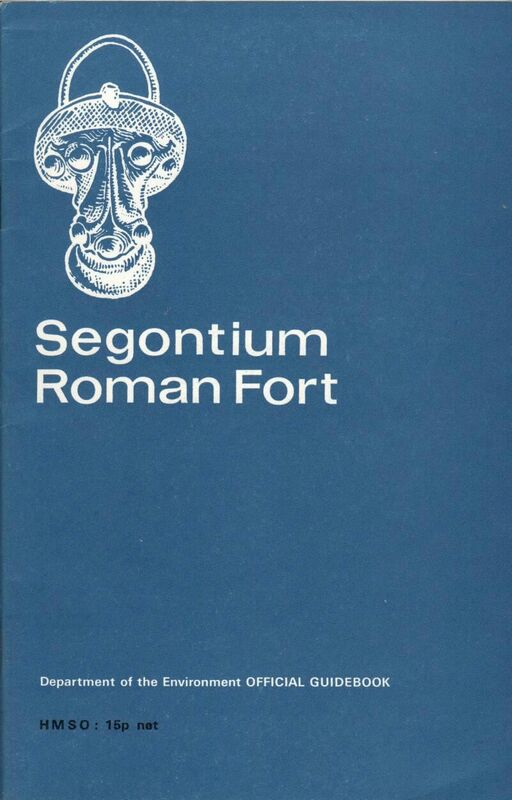 The DOE edition differs by stating the name of the fort in Welsh on the title page: Caer Rufeinig Segontium, Sir Caernarfon. And inside the cover is a paragraph on DOE Season Tickets in both English and Welsh. A.L.F. Rivet and Colin Smith note that the fort’s name was turned into Segontion and then into the form Caer Segeint and Caer Seint. 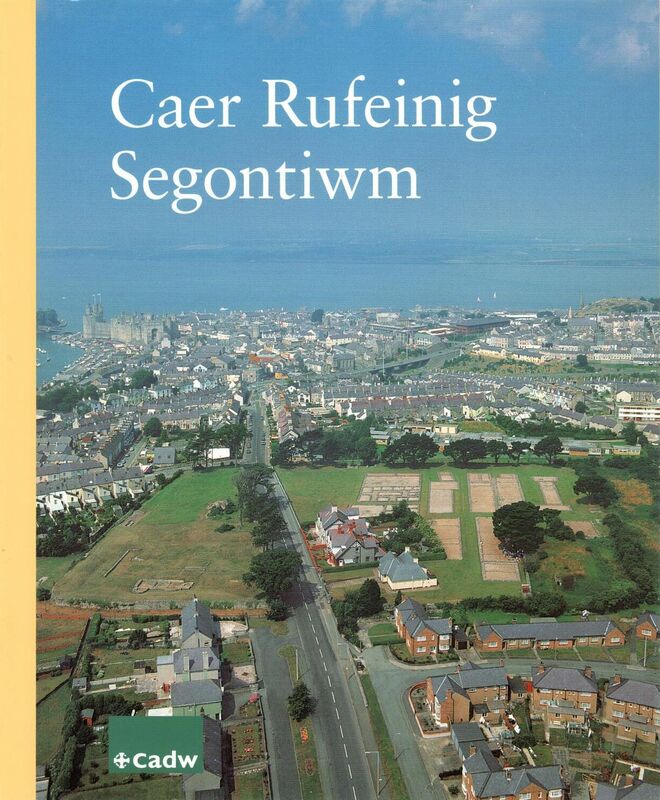 The new bilingual Cadw guide by Jeffery L. Davies (2005) uses the Welsh form of Segontiwm. This guide with new reconstruction by John Banbury, a plan and small finds has sections on the History of the Fort / Hanes y Gaer; Tour of the Fort / Taith drwy’r Gaer; and Environs of the Fort / Yr ardal o amgylch y Gaer. The original Office of Works guide to Castle Acre Priory in Norfolk was prepared in 1936.It had been placed under state guardianship in 1913. The guidebook was split into two distinct sections: the history by Frederick J.E. Raby, Fellow of Jesus College, Cambridge, and the description by Paul K. Baillie Reynolds, foermly Chief Inspector of Ancient Monuments. (The pair also collaborated on the guidebook to Framlingham Castle.) My Ministry of Public Buildings and Works (MPBW) ‘Official Guidebook’ is the eleventh impression (1970) of the second edition (1952). The cost was 2 shillings [10 p]. There is a fold-out plan inside the back cover. 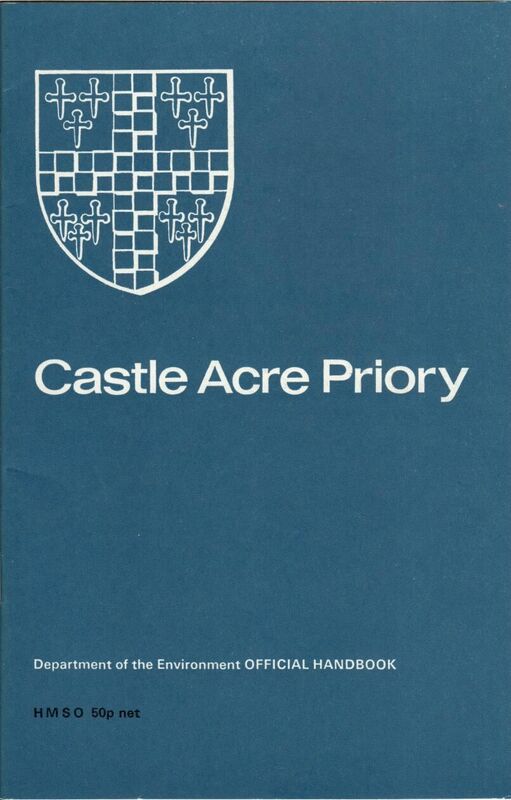 The cover shows the crest of the priory taken from the gatehouse (see the English Heritage guidebook, p. 22 [for position]). My 1979 Department of the Environment (DOE) ‘Official Handbook’ (note the change from ‘Official Guidebook’) is the fourteenth impression (1979) of the second edition (1952). The price is now 50 p. Essentially the text and images are the same although there are minor changes. Raby is now listed as ‘Sometime’ Assistant Secretary in the Ministry of Works. 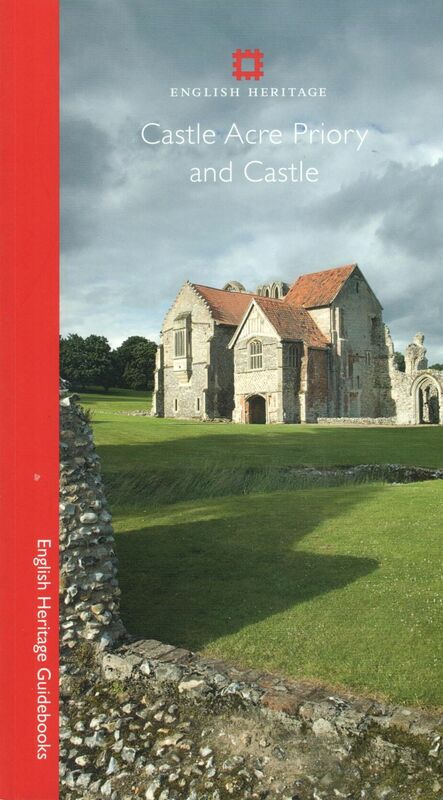 The English Heritage guidebook by Edward Impey covers Castle Acre Priory and Castle (2008; revised reprint 2013). This colour guide has a Priory Tour (pp. 4-23), a Castle Tour (pp. 24-31), and a History (pp. 32-48). 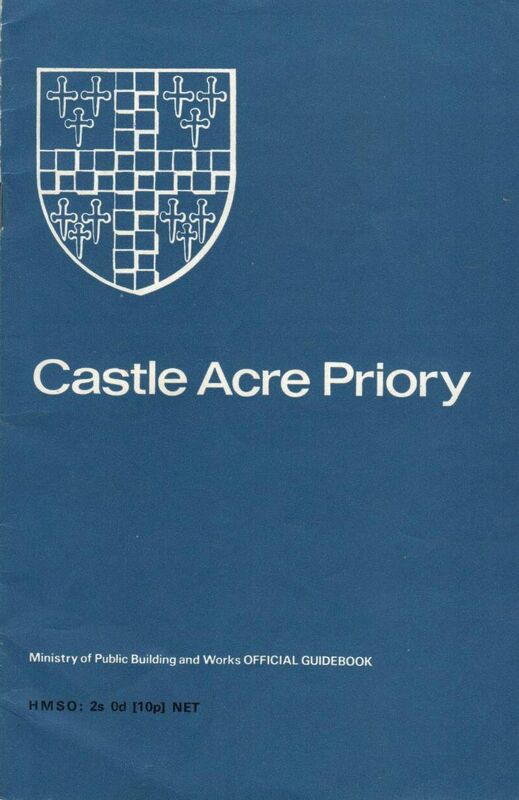 There are fold-out plans of the village and priory inside the front and back covers. There is a wonderful archive photograph of the first uniformed custodian, William Savage, who was appointed in 1929. I am looking forward to seeing the Celts exhibition opening at the British Museum in September. A 3D animation of St Kilda is now available online. This video shares the island’s heritage with a wider audience. It includes some interesting reworkings of archive photographs. St Kilda is a World Heritage site, and is part managed by the National Trust for Scotland. 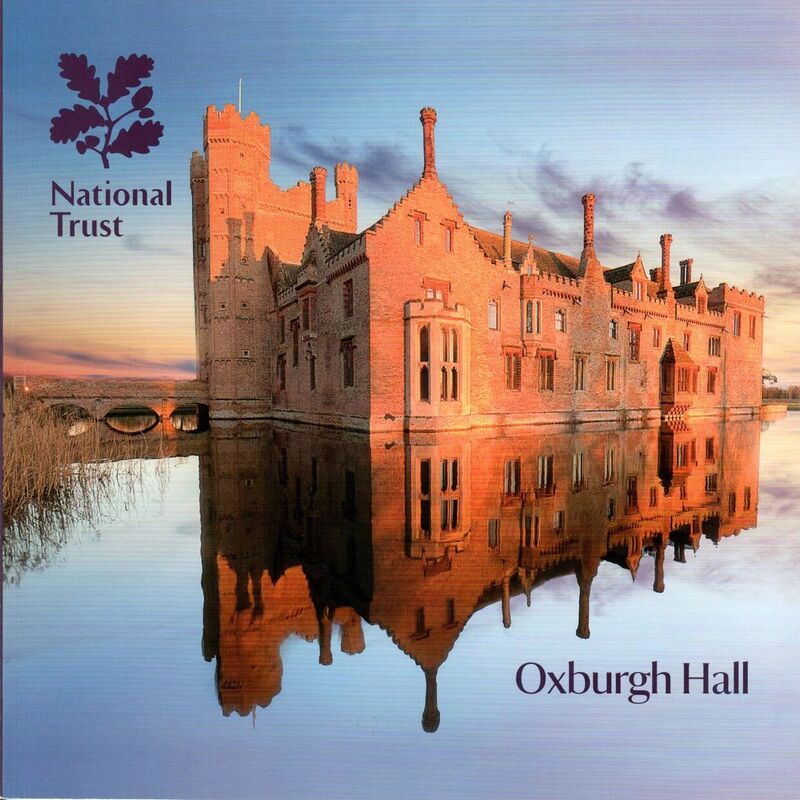 There is a new National Trust guidebook to Oxburgh Hall, Norfolk, by Anna Forrest (2014). There are 56 pages with plans, archive photographs, and colour images. There are five main sections: Survival and Continuity (2-5), The Exterior (6-9), Tour of the House (10-29), Landscape and Gardens (30-39), and Oxburgh and the Bedingfields (40-56). 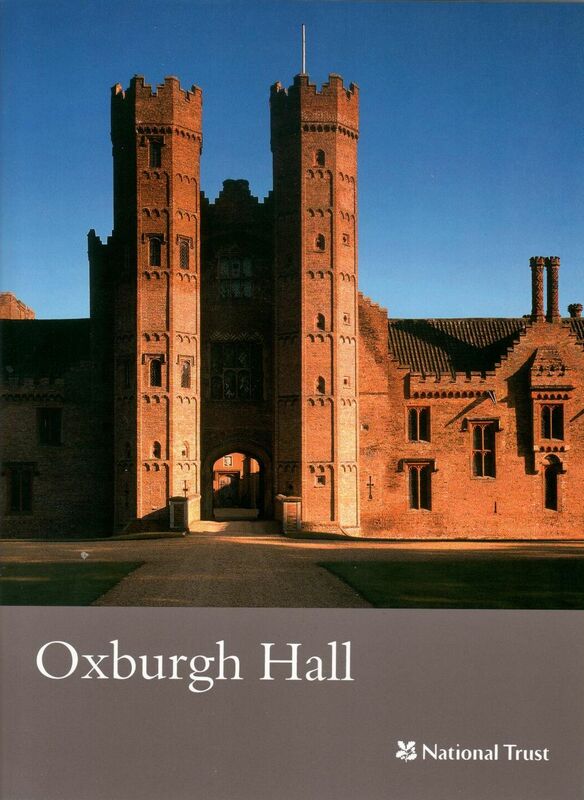 The guidebook includes a feature on Caring for Oxburgh today (51) describing the work of the National Trust team. It is a beautifully designed guidebook with a generous amount of information. The 2014 guidebook replaced the 2000 guidebook (reprinted as recently as 2010). This was divided into Introduction (4-5), Tour of the House (6-27), The Grounds (28-31), Oxburgh and the Bedingfields (32-47). Unlike the more recent guide this includes listings of significant paintings and works of art. This one includes colour images as well as archive photographs. Oxburgh contains the hangings associated with Bess of Hardwick and Mary, Queen of Scots. The National Trust used to have a dedicated short guide (16 pp) with a number of black and white images. 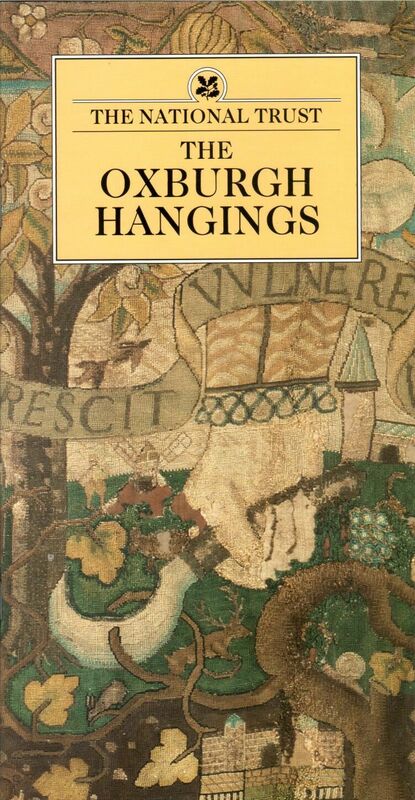 The hangings are on loan from the Victoria and Albert Museum. National Trust guidebooks are available to order online here.